Queensland is home to nearly half of Australia’s beef cattle, and the vast majority of those beasts contain at least some Brahman blood. As a result the Queensland cattle industry has come to depend on beasts whose origins lie outside Europe and which are better able to cope with the local environment. While today humped cattle are a common sight in Queensland, their adoption took place relatively recently and they were firmly rejected at first. 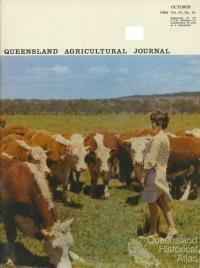 The rise of the Brahman in tropical Queensland dates from the 1960s and occurred only after a concerted campaign on the part of government agricultural researchers. 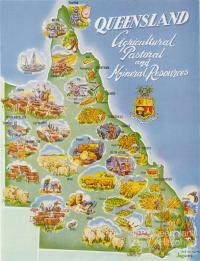 By 2001 that shift was estimated to have benefited the Queensland cattle industry by $8.1 billion. Humped cattle were available to pastoralists long before their widespread adoption in the north. The cattle that arrived with the First Fleet were purchased at the Cape Colony and other beasts arriving in the early colonial period also had their origins in southern Africa or India. Australia's first cattle were zebu in type, but they were rapidly replaced by familiar British breeds and did not become established. Throughout the nineteenth and early twentieth centuries humped cattle periodically became available in Australia but they remained rare despite their advantages in the environment of tropical Queensland. British breeds of cattle find it difficult to thrive in northern Australia because of periodic drought, tropical cattle ticks, and the hot, dry environment. By the 1960s agricultural scientists were promoting part zebu cattle as productive lean meat animals that were resistant to many of the health problems that had plagued cattle in the tropics. But despite the encouragement of agricultural scientists pastoralists were reluctant to alter their herds. Zebu or humped cattle belong to the cattle sub-species Bos indicus, of which Brahman cattle are the best known breed. They are visually distinct from cattle within the Bos taurus sub-species which contains cattle from traditional British and European breeds. There is no barrier to breeding between these two groups and during the twentieth century successful new breeds, such as the Brangus (Brahman crossed with Angus) have been produced this way. However Bos indicus cattle have a distinctive, non-European appearance and generally have a hump, are curvy rather than boxy in outline, and have long, droopy ears. Before their widespread adoption in Queensland their unfamiliar appearance counted against them. While cattle breeds seem familiar and dependable, the ability to establish new breeds indicates that breeds are not natural but are constructed by humans. Breeds may have a standard appearance that is distinct and heritable, but breeds are created and maintained by careful human management. Animals are valued according to how well they conform to breed standards and those standards can change, leading livestock breeders to adjust the physical characteristics of their herds. Despite the artifice required to maintain breeds they are useful to farmers because purebred animals have predictable characteristics, allowing farmers to manage and improve the productivity of their herds. However there is also an aesthetic component to breed distinctions and farmers and breeders appreciate the appearance of their beasts as well as their productivity. While there were concerns about the manageability and fertility of Bos indicus cattle their economic potential was not explored in part because pastoralists found their unfamiliar appearance off-putting. One of the key locations where farmers judge animals is the agricultural show. Shows have a long history in Australia: the first was held in 1822, and the Royal Agricultural Society of Queensland started holding shows in 1860. Shows were for a long time an essential way of judging the merit of animals. The categories by which animals were judged indicated the significance of different breeds in different areas, and what aspects were considered important. Beef breeds tended to be judged for conformity to breed standards, although some shows included chiller classes for judging animals after they had been slaughtered, and some shows included categories where animals were first judged on the hoof and then judged on the hook. 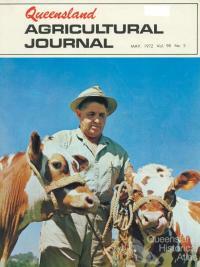 Shows in dairying areas also judged animals on appearance but sometimes included measured testing of milk production. Farmer unease about non-British cattle was evident at agricultural shows in the first half of the twentieth century. 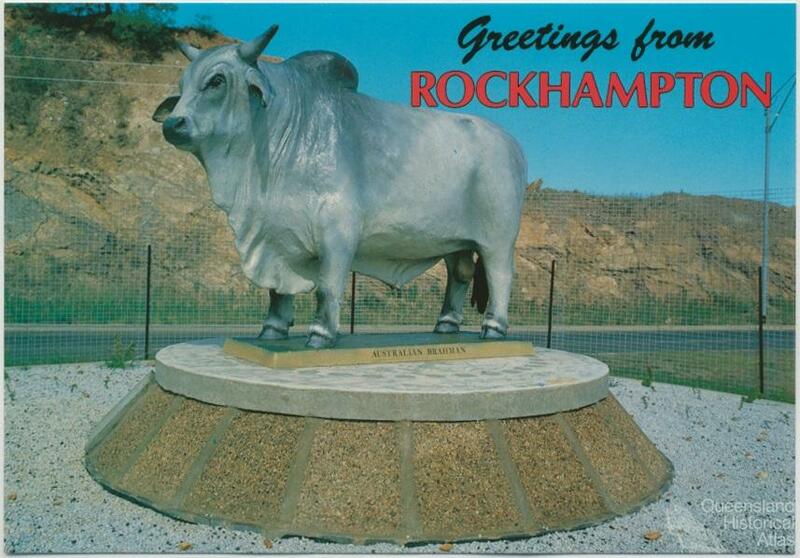 A pen of Brahman crossbreeds competed at the 1938 Rockhampton Show. Intriguingly they came tenth in their category when judged on the hoof but second on the hook. Clearly the unfamiliar appearance of the animals misled the judges about the merits that were evident in their carcases. At the 1953 Townsville Show, Brahman cattle breeders had their animals denied entry to the showgrounds, except for access to the sale ring. In order to participate in the cattle sales associated with that show, Brahman breeders were required to use covered trucks to move their animals. And breeders who took up the newly available breeds sometimes found their social networks constricted as a result of more general discomfort about and disapproval of the unfamiliar breeds. When cattle breeder Hugh Innes showed Brahmans at the Brisbane Show in 1957, Hereford breeders who had previously been his friends chose to ignore him. However the new breeds gained some acceptance through their show appearances and when Brahman stud stock appeared at the 1961 Brisbane Exhibition thirty new breeders applied to join the Australian Brahman Breeders' Association. 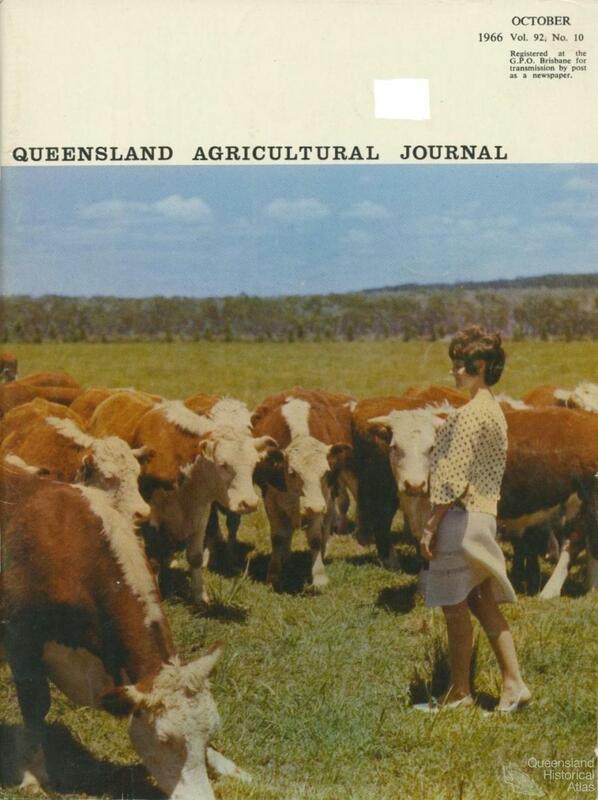 By the early 1960s tropical cattle were starting to gain acceptance in Queensland and a large part of that change was due to the work of agricultural scientists. 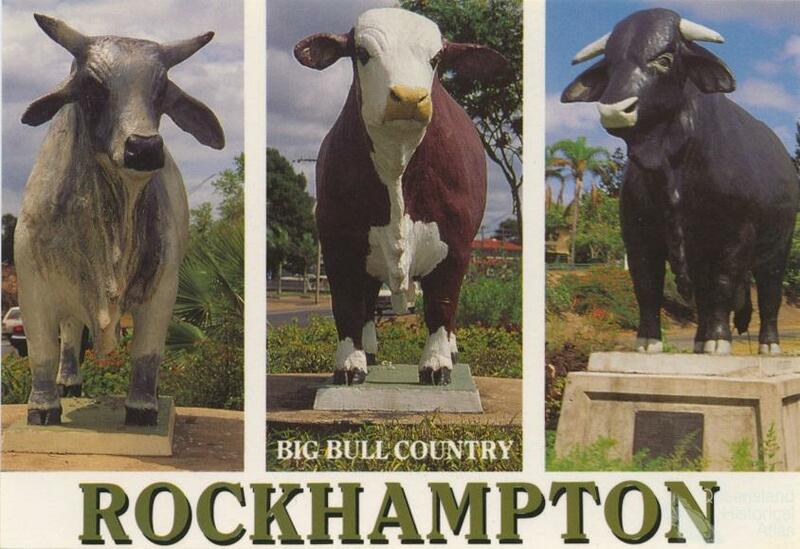 Of particular importance was the Belmont agricultural research station which operated near Rockhampton from 1952 until 2009. It was particularly significant in the development of Bos indicus cross breeds in Queensland and in overcoming farmer resistance to crossbreeding Bos indicus cattle with British breeds. The location of the research station itself was a compromise as farmers in other regions of Queensland had rejected research that might lead to the ‘mongrelising’ of established cattle breeds. The research station adopted computerised record-keeping early, and moved from assessing animals on their appearance to measuring growth, fertility, manageability, and meat quality. The Belmont breed was named for the research station and combined the fertility and growth benefits of British and European breeds with the heat tolerance and tick resistance of Brahman and Africander breeds. It was made available to farmers in 1969. The Belmont herd book is deliberately kept open to allow farmers to grade up their herds relatively easily and Belmont herds are easy to maintain as once they have been established further cross breeding is not required. The Belmont’s key breed points are not aesthetic but are instead based on productivity; in particular colour is not selected for, although the animals tend to be red. 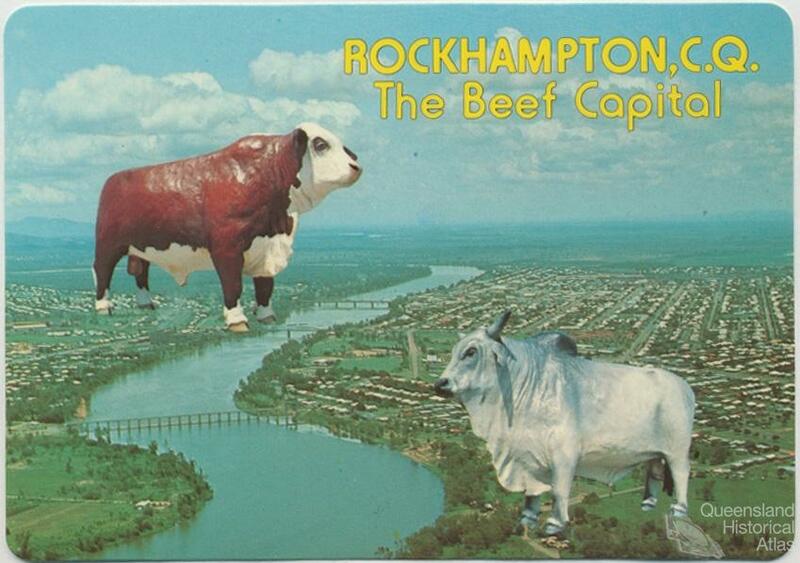 The Belmont is testimony to pragmatic cattle breeding in northern Australia. 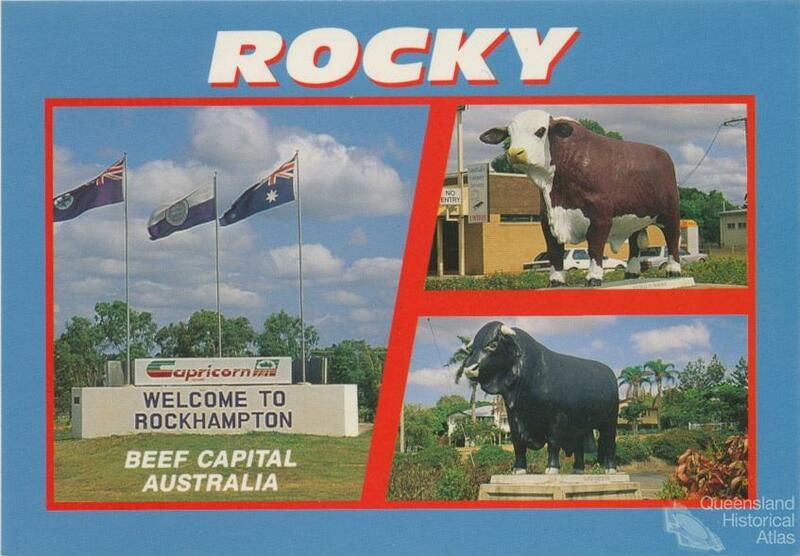 Queenslanders have adjusted to the presence of distinctively non-British and non-European cattle, but their introduction was not welcomed by many farmers and their worth needed to be established through rigorous scientific testing. Despite the advantages of the breed, the first commercial Belmont Red stud was not established until 1978 and the breed remains less sought after than the Brahman and other Brahman crossbreeds. As the Belmont is a breed defined by measured characteristics it challenges long held traditions that place value on the appearance and long pedigree of stock and it marks a significant shift in the operation of Queensland’s cattle industry. 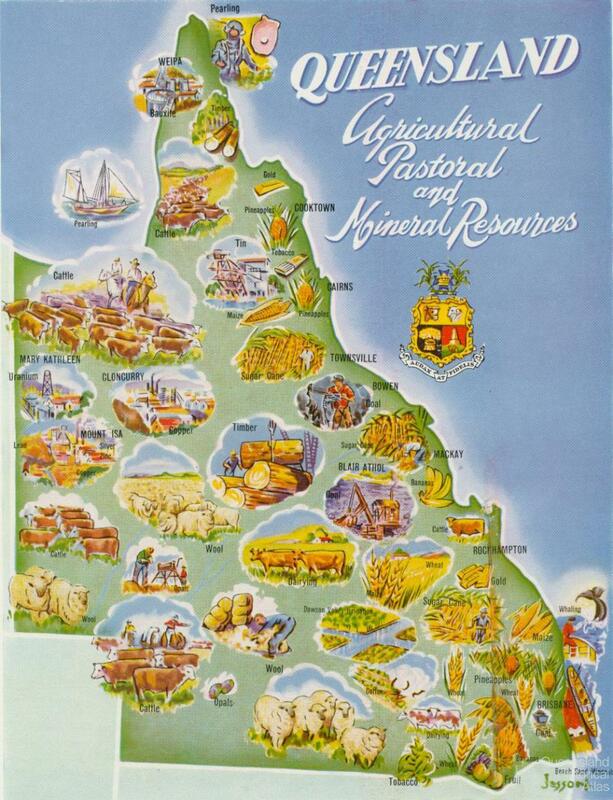 Claire Brennan, ‘Livestock and landscape: a history of the settlement of Queensland by cattle’, in Trisha Fielding (ed), Selected lectures on North Queensland history from City Libraries Sir Philp Lecture Series: Townsville City Council, Townsville, 2009, pp 92-103. R. A. Hunter, CSIRO in Rockhampton; a history of CSIRO’s contributions to the northern beef industry from its Rockhampton Laboratories, 1953-2009, CSIRO Livestock Industries, Brisbane, 2011.